cPanel is the most popular and widely used control panel in the web hosting industry, that is why all our linux shared hosting plans are equipped with cPanel for the ease of website and hosting management. cPanel enables you to manage website files, folders, databases, create email accounts, manage domains, sub-domains and a lot more through a single dashboard. We also offer Softaculous one-click installer tool that is available within your cPanel control panel. This tool helps you to install various applications like WordPress, Joomla, Drupal etc. within few clicks. Choose our best cPanel hosting plan to make your personal or business website live. Check our Live cPanel Demo. Our datacenters are in India, UK, US and Romania. Choose your prefered location at the time of sign-up for no additional cost. cPanel hosting is a type of shared hosting service where many web sites are stored on a single server. Each of the websites shares the resources (disk space, data transfer, cpu, memory etc.) available on that server. Users primarily have control panel (cPanel) access to their web hosting account, but do not have root level access to the server their account is hosted on. Overall management and maintenance of the server are the responsibility of the web hosting service provider. Who should use cPanel web hosting? cPanel web hosting is mostly useful for people who have small or medium size websites that do not require a lot of server resources. Sites that are 'mission critical' (commercial and other sites) often benefit from VPS hosting or dedicated hosting. What are the advantages of cPanel hosting? The first advantage of cPanel hosting is its cost. Given that a number of websites share the server resources, the cost of maintenance is shared between number of users. This brings the end user cost down considerably. MilesWeb offers 1 GB of SSD disk space and unlimited bandwidth for Rs 109 a month. Another advantage is that as the web host, we are responsible for managing the server. Technical support is available 24x7, if there are any issues with your website you can contact our team and get the issue fixed. This means that people with relatively few IT skills can still set up a hosting account and a web site. Do I really get unlimited space and bandwidth? Yes, you get unlimited disk space and bandwidth with Value and Unlimited cPanel hosting account. As long as you comply with the unlimited hosting policy you don't have to worry about anything. Do I get the domain name free for lifetime? 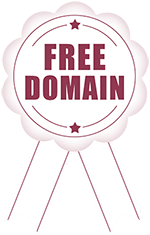 Yes, you get one free domain for lifetime with Value or Unlimited cPanel web hosting plan. You can either register a new domain or transfer an existing domain to MilesWeb. The domain will be free till the time your hosting account is active with us. Which control panel do I get with the hosting? We provide Linux shared hosting with cPanel control panel. You can manage every aspect of your hosting account from cPanel. Will you help me to move my existing website to MilesWeb? Yes, our migration experts will help you to move the website if you have cPanel with your old hosting provider. There is no additional cost for website migration. Can I host multiple sites/domains with MilesWeb cPanel Hosting Plans? Yes, you can host multiple websites or domains in the Unlimited hosting plan. Economy and Value plan supports only one website/domain. How do I purchase bandwidth or any other add-on pack? By default we provide unlimited bandwidth with our cPanel shared hosting plans. This means your website will never run out of bandwidth. For buying add-ons like dedicated IP address, SSL, Backup plan etc you may contact our sales team. Am I allowed for more than one database on a single domain? Yes, you can create multiple database for a single domain. In Economy plan you can host one domain and create upto 3 database. Value and Unlimited plan supports unlimited database but the size of individual database should not exceed 1 GB. Domain names are the familiar, easy to remember names for computers on the Internet (such as MilesWeb.com). They correspond to a series of numbers (called Internet Protocol numbers) that serve as routing addresses on the World Wide Web. Domain names are used generally as a convenient way of locating information and reaching others on the Internet. No. Your hosting account has nothing to do with your local machine. To access the hosting cPanel account you will need a web browser and internet access.  I have a Windows operating system on my laptop, should I choose Windows hosting or Linux hosting? Your laptop or desktop is a medium through which you connect to the hosting account. You should choose the web hosting package depending upon the type of website you will be hosting. If your website is built in HTML, PHP, MySQL then Linux hosting is recommended. For .NET websites you should choose Windows hosting. You can access the Linux hosting account from your Windows laptop. You get a graphical user interface to manage the Linux hosting account. You don't have to get into command prompt for managing the Linux hosting. What is the best way to contact MilesWeb team? MilesWeb team is available 24/7. You can contact us through live chat, email, or phone on any day at any time. If you are not satisfied with our service, you can place the cancellation request from client area or by sending an email to billing@milesweb.com. We provide multiple payment options through which you can make the payment. We accept credit card, debit card, net banking, bank transfer, PayPal, cheque and cash deposit payment. Talk to our cPanel web hosting solution experts for detailed info on our cPanel hosting India service. We're available 24/7. India’s Best cPanel Hosting at just $0.93/mo.